Whether it’s for a bedroom, living space or both, with one of the most impressive and comprehensive collections of carpets in Halifax, our customers can safely assume they will leave with the perfect one for them. We have a spacious new sample-book showroom to compliment the many carpets we have in stock to take away. And whether it is from one of the budget ranges or luxury ranges, there is next-day delivery on most carpets. Our extensive vinyl product range will ensure you find the right product to kick your kitchen or bathroom into life. Create a fresh look for your home with a new sweeping laminate floor. We have a wide range of laminate options in stock or to order, many with next-day delivery. Solid Wood floors not only endure and perform brilliantly; they also bring a refined and sophisticated look to any room. 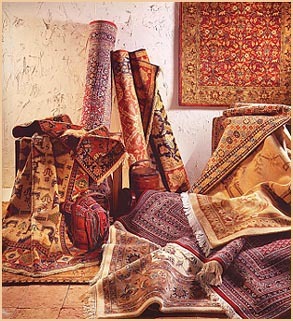 Our vast collection of rugs comprises of many different variations in style, colour, size and thickness. But whether the rug you’re after a doormat or a king-size, a modern design or traditional, we guarantee you will find something to suit your pocket.